These Mini Transformers MUST Be Your New Favorite Toys! Japan is the country of wonders and we see all types of inventions and toys being made each day, some of which are stunning, some not so much. 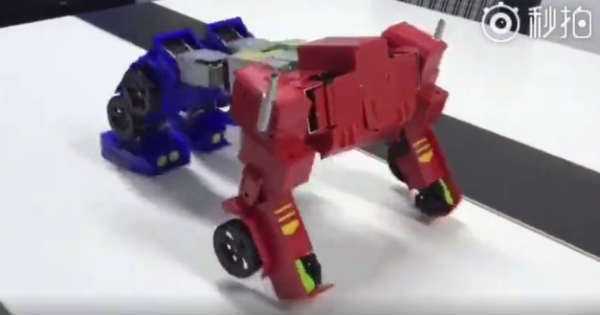 Their latest invention are these mini transformers which look precisely like the real ones! Japan never fails to impress us, but it seems as if this time they managed to outstrip themselves. Once you see how well they operate and move in a subtle motion, you would most certainly wish to have one. And we see various mini transformers coming back to life, just like in the movie. Some would probably say that this short, just less than 2 minutes, long video is even better than the movie itself! First of all we see a truck being transformed into an awesome looking robot. The motion is so satisfactory that you would want to see it over and over again. You do not even have to press a button on the truck hence everything is remotely controlled. Its body turns over and its head pops out from the torso which looks absolutely awesome. There is also a military vehicle which can shoot and make a sound a shooting motion at the same time. But not only that, this vehicle can transform itself into a robot. The robot can even walk! How cool is that! The other vehicle, which is a reference to the Hummer, finishes this mini transformers collection, along with the dozer. What do you think; could these become your new favorite toys? Before you go, check out the first real transformer based on a BMW model.